This is the story I would have read for the Girls Read for Girls Readathon at the Brooklyn Public Library, Grand Army Plaza. I wrote it to ensure that I did not traumatize very young girls who are passionate in their dedication to reading, and who want to contribute to enabling other girls around the world to read, go to school, and live a fulfilled life. They partnered with the Malala Fund. I was invited to speak briefly. Instead of reading the story, I ad libbed. But I think the story is well suited to a young audience and am putting it online for this reason. Once upon a time, there were 279 high school girls. 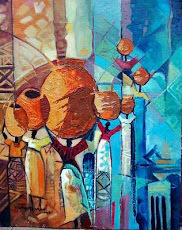 They lived in Northeastern Nigeria, and went to school in Chibok, Borno State. Although many other girls did not go to school because their parents could not afford to pay their school fees, our Chibok girls’ parents sacrificed a lot, scrimping and saving, working from dawn to dusk to put some money aside to pay the school fees of our Chibok girls. Our Chibok girls knew how hard their parents were working to make sure that they got an education. They loved school. They studied hard. They were determined to pass all their exams so that they could become teachers, lawyers, doctors, nurses, accountants, and enter all kinds of good professions, so that they could help other girls and children, as well as other Nigerians. They wanted to contribute their best to make Nigeria great. So our girls studied, and they studied. They saw that rich Nigerians had an easy time of it. These rich Nigerians did not have to struggle. Their daughters had the best of everything. They did not have to go to a village school. Their schools had the best of facilities. But our Chibok girls believe in God. Some were Christians. Others were Muslims. Their parents, pastors and Imams always told them that they should study hard, pray always, and trust that God would help them to get ahead. Many of them wanted to succeed so that they could give their parents the best of everything. They did not like their parents working night and day for the little that they had. Boko Haram was a bogeyman in Northeastern Nigeria. Everyone knew they were major bad guys. The real meaning of the group’s name is “Congregation of the People of Tradition for Proselytization and Jihad”. Boko Haram is a nickname given to them by Hausas, and it is usually translated to mean “Western education is forbidden” or “Western education is a sin”. At first, many poor people flocked to their free Islamic schools and thought they were good because they fed the poor, helped people to cover expenses that they were unable to afford, and they criticized the meaning, essence and values of Western civilization as adopted by the rich people in Northern Nigeria and the rest of the country. They also question the use of education, when it does not lead to jobs, and equality for the majority poor in the country. As well, they criticize other Muslims as not practicing the right teachings of the Prophet Mohammed. But Boko Haram is a wolf in sheep’s clothing, like the wolf in Little Red Riding Hood. The group is uses violence to send messages to the Nigerian government and political elites, traditional rulers who are Muslim, Christians, and ordinary Nigerians. It has attacked Muslims, Christians, ordinary people going about their daily lives, the UN House in Abuja, Nigerian government offices and workers. Now that Boko Haram had become violent, everyone told their children not to talk to strangers, to be careful of Boko Haram because they loved to hurt people. Our Chibok girls listened to their parents. They did not talk to strangers. They were very careful. In April 2014, every high school student had to take exams. Most schools in Borno State had been closed down to protect students from Boko Haram, which had threatened to harm students and close down their schools. But the Borno State government said that it was safe for students to go to school to take their exams. Our Chibok girls went back to their school. They studied, and they studied. These exams would make the difference between those who succeed and those who failed to grasp their dreams. On the night of April 13 our girls went to bed. Many had dreams about their exams. They had studied, they had prayed. They wanted so very much to pass these exams. All of a sudden, there were noises. Loud Bangs! Harsh voices! Scary sounds! Many of our girls thought they were having nightmares. They jolted awake. There were men in soldier uniforms. The men told them to come out of their dorms. They said they had come to rescue them from Boko Haram, and would take them to safety. They brought these big trucks. Many of our girls were afraid, but they also know that soldiers wearing Nigerian Army uniforms had to be good guys. Anyway, they had no choice. They had to follow the soldiers, who had guns. Our girls began to suspect that these soldiers were not nice guys when they took all the food in the school, and set the buildings on fire. It was very scary. Our girls were all made to get into the trucks. They were driven through a thick forest road. Even though they were scared, 57 girls escaped from these major bad guys. They ran and walked through the forest. They walked for many days until they eventually found their way home. 219 of our girls are still being held by Boko Haram. Our girls are praying to be rescued from these bad guys. BringBackOurGirls was formed to let the world know that we must do everything we can to rescue our 219 girls from Boko Haram. We also help our girls who escaped, we let them know that we are proud of them, we love them, and we will help them to go to school and get the best education. BringBackOurGirls did not like it that the Nigerian government under President Goodluck Jonathan did not start looking for our girls immediately Boko Haram kidnapped them. We wanted the Nigerian government to show that it is concerned about the security and welfare of all its people, and that it will guarantee their right to enjoy them. We asked the government of Nigeria to first rescue the girls and bring them back to their families. We also asked the government to provide all the support that the girls and their families need to help them to recover from having been scared so much by Boko Haram. We said the government has to show all Nigerians that everyone has the right to education, that girls education is of utmost importance, that safety is guaranteed for all Nigerians, and that all Nigerians enjoy the benefits of belonging to the country with the largest economy in Africa. 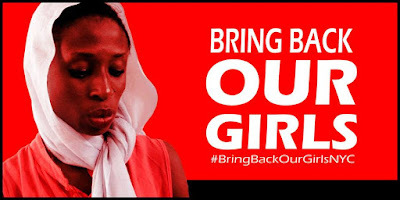 President Barack Obama has promised to help find our girls. 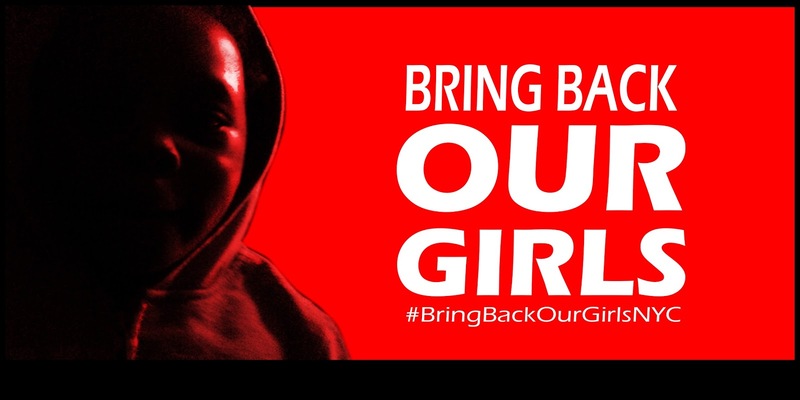 First Lady Michele Obama has also helped keep this matter in our minds by doing a BringBackOurGirls hashtag campaign. In July 2014, Malala went to Nigeria for her 17th birthday and she got President Goodluck Jonathan to meet with the parents of our missing Chibok Girls for the first time. She also asked the government to rescue our Chibok girls from Boko Haram. Nigeria has a new President—President Muhammadu Buhari. He has said the defeat of Boko Haram and rescue of our Chibok girls is one of his government’s top priorities. He met with BringBackOurGirls and our Chibok Girls parents and promised that he will rescue our girls. 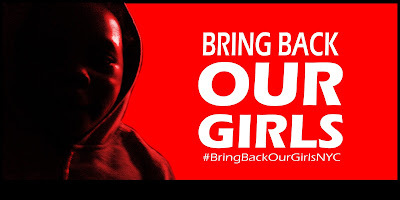 BringBackOurGirls still campaigning that all efforts must be made to rescue our girls. We hope the combined efforts that are led by Nigeria, joined by its international allies rescues the girls and brings them back to their families. Today, Day 580 after our girls were abducted from their school in Chibok, looking at the unfairness of over 10 million children out of school in Nigeria, we remain hopeful that all our girls and everyone else that was abducted from Northeastern Nigeria would be rescued and reunited with their families so that they can go back to school and get the education that they want so much and live happy, fulfilled lives. This is why we will not rest until they are back. One way you can help is to write a letter to President Obama and First Lady Michele Obama to remind them of their promise to help rescue our Chibok Girls from Boko Haram. Thank you.